Retail Pro is a fully integrated system that is always looking to the future for more benefits to the retailer & customer. It has everything we need: inventory, reporting, web integration, layaway system - and a fab support team in our Retail Pro Business Partner. When shoppers feel a connection to a retailer, they do more than buy goods from it. They promote the retailer, they engage with the brand, and they are also loyal to it. The best brands nurture those types of customers by providing opportunities for shared experiences. Businesses catering to children are a perfect example of the importance of cultivating a loyal following. For example, Toys R Us was an icon of the 80s and 90s but could not compete effectively in today's economy against online toy stores, which offered low price and convenience. A key part of the TRU problem was its failure to meaningfully engage shoppers. Kids Cavern, founded in 1989, is the UK's largest independent retailer of over 130 brands of luxury children's-wear and shoes, and they have a different approach. Managing Director Danny Shelvey and his team are focusing on experiential retail as a key competitive advantage – and they're building their CX strategy on flexible Retail Pro POS and retail management software. Most of Kids Cavern's competitors are online-only retailers so for them, creating a bricks & mortar retail experience that will actually foster relationship with customers is of utmost importance. This summer, in time for the retailer's 30th anniversary next year, Kids Cavern is making the move from their current 4000 sq. ft. store to one that's 15000 sq. ft., to give ample space for inspiration in children's fashion to bloom. 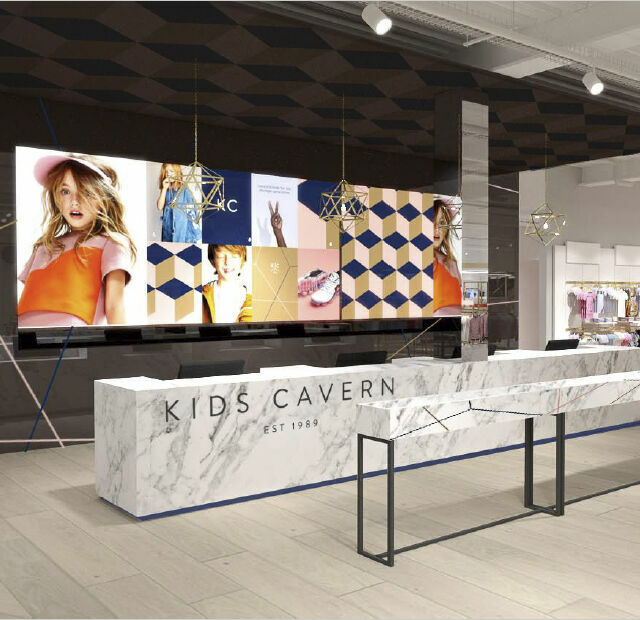 The opening gala will set the tone for Kids Cavern's creative concept for experiential retail and will feature a catwalk for a kids' fashion show. The new building is long and rectangular, and will be arranged as a department store with a dedicated area for each designer label they carry, including Armani, Gucci, Fendi, Givenchy, Burberry, Moncler, and other designers fashion-conscious parents love. The shoe store within the store will make Kids Cavern the place to conveniently complete a child's wardrobe. 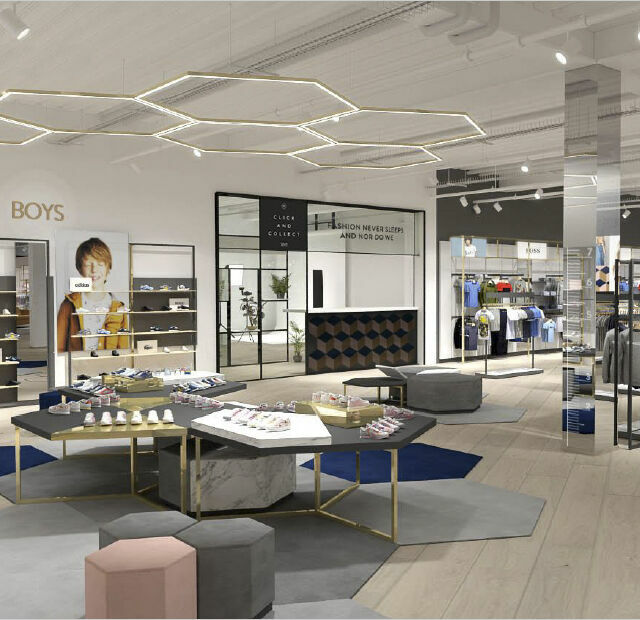 The store is planned to feature a soda and sweets bar, a child's hairdresser area, and large mounted TV screens throughout that will play music videos, creating an experience kids will love. Kid's Cavern is setting a high bar for the future of retail as these little shoppers grow up. 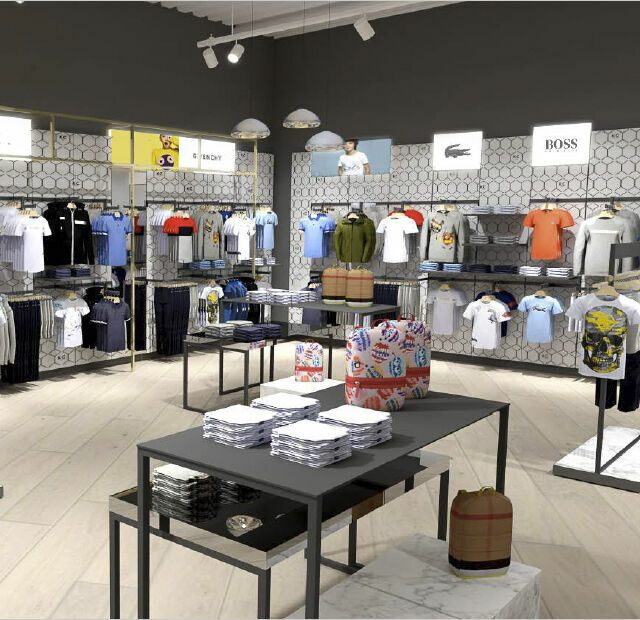 Though Kids Cavern's young shoppers may not know it yet, their parents will certainly appreciate convenience as a major part of every good shopping experience – and this retailer is leveraging functionality in Retail Pro to tailor their store experience to customers' needs. "Retail Pro is a fully integrated system that is always looking to the future for more benefits to the retailer & customer. It has everything we need: inventory, reporting, web integration, layaway system – and a fab support team in our Retail Pro Business Partner, Pinnaca," said Shelvey. "I can't praise them enough – they're always friendly, knowledgeable, positive, and fast. We love working with Retail Pro and Pinnaca." The feeling is mutual: Pinnaca Retail Solutions CEO Minesh Thakkar commented, "Kids Cavern have been a client for many years and have seriously grown as a business with their owners' vision and ambition at the forefront of this growth." When asked what they believe are the contributing factors, Thakkar said, "Part of that success is the vision to use technology to enhance the customer experience, which they accomplished by upgrading their systems and integrating their online channel into the central systems. It's a pleasure working with Danny and his team as they bring great ideas to the table and take on board our expertise and advice, allowing us to work as a partnership to make their customer journey great. They are very hardworking, down to earth, and vibrant, and which makes them so much fun to work with. This has just as much to do with the business being successful as anything else." With Retail Pro sales orders, Kids Cavern can offer layaway, so customers can enjoy shopping for and purchasing the latest fashions, but with a deferred payment and pickup. Customers who are connected via an Instagram account can call or text the store and request items to be put into their accounts. "Layaway is a free facility for the customer enabling them to not have to spend there and then, and it keeps the customer loyal to us," Shelvey added. And Kids Cavern gives shoppers even more reason to remain loyal with points toward greater discounts on their products through Sweettooth loyalty. The strategy not only offers customers convenience, but also builds the foundation for repeat trips to the store and loyalty. About 25 – 30% of their sales are now from layaway sales orders. Roughly the same percentage of Kids' Cavern's sales are generated from ecommerce. And, with free worldwide delivery, Kids Cavern is getting sales not only from their UK compatriots but also from the far east, the US, Japan, and the Middle East. Ecommerce managers Phil Fowler and Ellie Evans are the curators of Kids Cavern's online strategy, as they work to intertwine the brick and mortar's identity with its web site. Each reflects the other so a clear synergy between the two is apparent to customers. Retail Pro helps provide a smooth integration of those luxury brands' in-store inventory with web sales via Retail Dimensions Integrated Commerce Engine (RD-ICE), which powers Retail Pro ecommerce integrations for more than 1,000 brands around the globe. After RD-ICE was configured, Kids Cavern's Retail Pro POS could communicate with their Magento ecommerce, automatically synchronizing POS data with e-commerce and web orders within Retail Pro. The Retail Pro ecommerce integration optimizes inventory, streamlines operations and reduces manpower needed to manage this channel of the business. 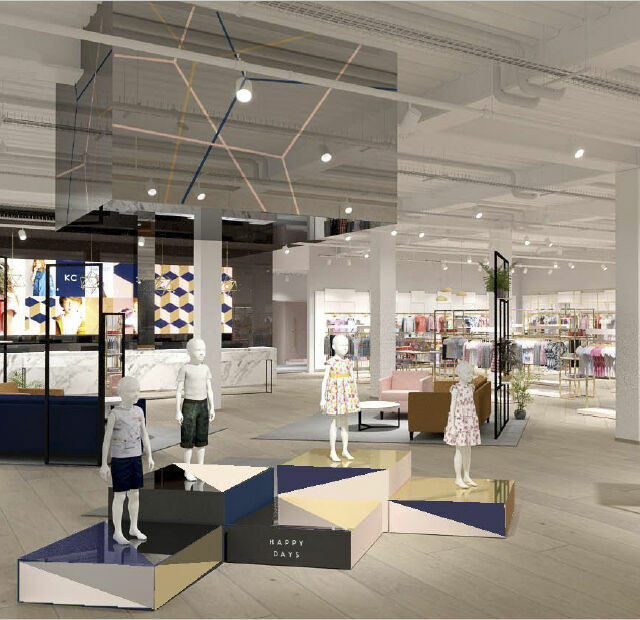 Kids Cavern is looking forward to achieving unified commerce between brick and mortar and online stores with Retail Pro, and the new store building will dedicate some floor space to create a Click & Collect station for convenient store fulfillment of online orders. For over 20 years Kids Cavern has been using flexible Retail Pro software, evolving it along with their business needs. This continual evolution of operations and Retail Pro technology have helped the retailer attain their reputation for providing sought-after inventory, optimal experience and great incentives for customer loyalty. Today, the needs are greater customer convenience and a retail experience to keep shoppers coming back. Whatever the retail industry demands tomorrow, Kids Cavern will be ready for it with Retail Pro. "I can't praise them enough - they're always friendly, knowledgeable, positive, and fast. We love working with Retail Pro and Pinnaca."